A map detailing the ownership of the three Front Street parking spots. 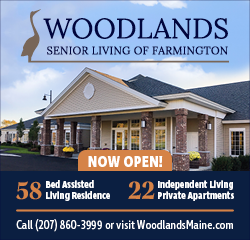 FARMINGTON - Selectmen met Tuesday night to approve the 2019 Sewer Budget and to hear a proposed purchase of several parking spots on Front Street. Presented by Superintendent Steve Millett, this year's sewer budget will see a 3.59 percent increase from last year, going to $1,002,761. According to Millett, that increase is primarily due to items out of the department's control such as pay wage increase, electricity and heating in the main control building. The increase will not impact rates, Town Manager Richard Davis said. With the recent purchase of 147 Pleasant Street, Jennifer Bjorn of Bjorn Realty Corp. has put in a request to buy three parking spots from the town for the purpose of providing adequate space to the building's tenants. The three spaces, adjacent to the building's main parking lot entrance, are already tied to the deed of the former Granary at 50 percent ownership. Bjorn has estimated each spot to be worth $5,000 and has made an offer to the town of half of the total price, or $7,500. Bjorn said, if approved, she would take over the maintenance of the spots. "Wherever we have tenants, we have places for them to park. That's our goal," Bjorn's husband John Moore added. Bjorn said they expect the building to be full of both tenants and employees of the anticipated basement-level restaurant. "As you are aware, the Granary Building has gone through many owners and two bankruptcies in the past 25 years. It is my hope to position the building for a stable and prosperous run as one of the anchors in the Downtown," Bjorn wrote in a letter to the board. Davis, along with several selectmen, relayed complaints they had received from other residents and business owners about the already difficult parking situation in town. 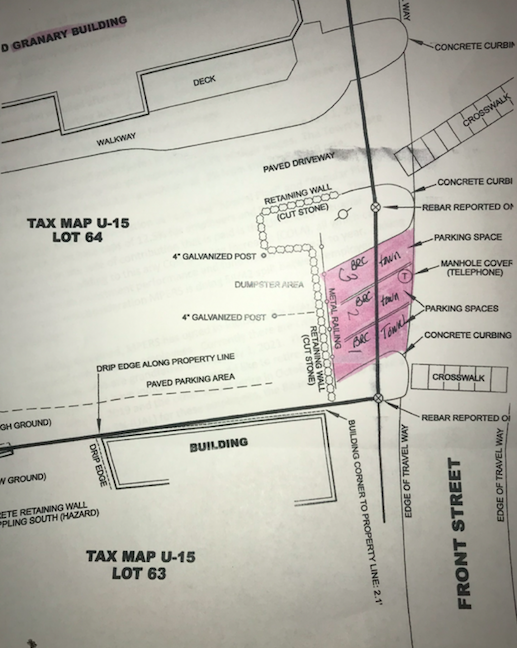 A vote at the town meeting recently secured 24-hour use of an additional 40 spaces in the Anson Street lot through a two-year lease with the County Commissioners, but the lease comes with some stipulations and selectmen agreed that the town is still hurting for parking. Selectmen agreed to move forward with the request which would involve a special town meeting for residents to vote on the matter. The Bjorns and John Moore own parking lots on every side of that building. Not to mention the movie theater parking lot in behind. Why would the town want to give up those three spots that can be used by patrons of Farmingtons businesses, so they can put up no parking signs. I like how they "estimated" the value of each lot at $5000 and then dangled a $2500 pay off carrot out to the town. No way should the selectmen approve this. No way Jose, absolutely NOT !! Since when can we tell the town what we will pay for property ?? How about leasing it for 10K a year ?? If you don't like the parking area that goes with the property you buy, then don't buy it. Where is the outrage here ? The owners of the Granary already own half of each parking spot. So if they wanted they could do whatever with their half and cause the town to lose all but one spot. John and Jen have really improved their properties on front street and do care greatly about our town.